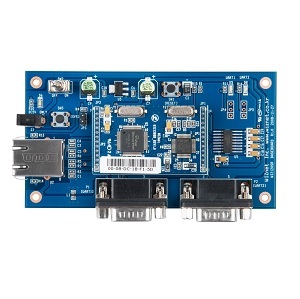 WIZ120SR-EVB | WIZnet Co., Ltd.
WIZ120SR is an embedded module based on WIZnet W5100 & ARM Cortex-M3. 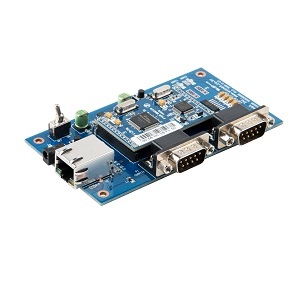 WIZ120SR is the protocol converter that transmits the data sent by serial equipment as TCP/IP data type, and converts back the TCP/IP data received through the network into serial data to transmit back to the equipment. 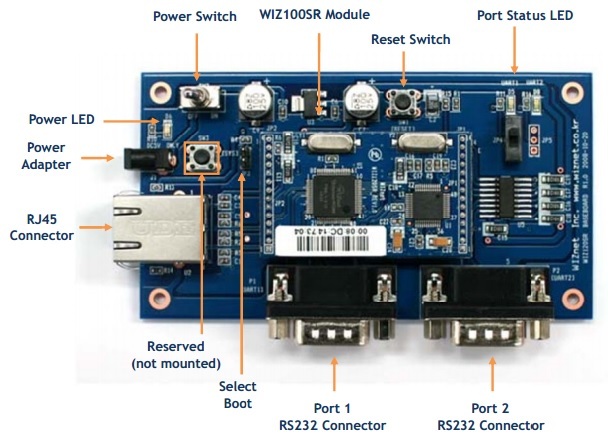 WIZ120SR is able to communicate two serial equipments at the same time by supporting 2 serial ports(3.3V LVTTL). The Ethernet data was not transmitted to the designated serial port. This problem sporadically occurred without any rule.